These ingots and fragments of hacksilver (cut metal currency) have come from one of the most important late Saxon hoards in Britain. It was found in 1950 when workmen digging near Chester Castle unearthed a small pot containing around 500 silver pennies; there were also silver ingots and pieces of chopped up jewellery. 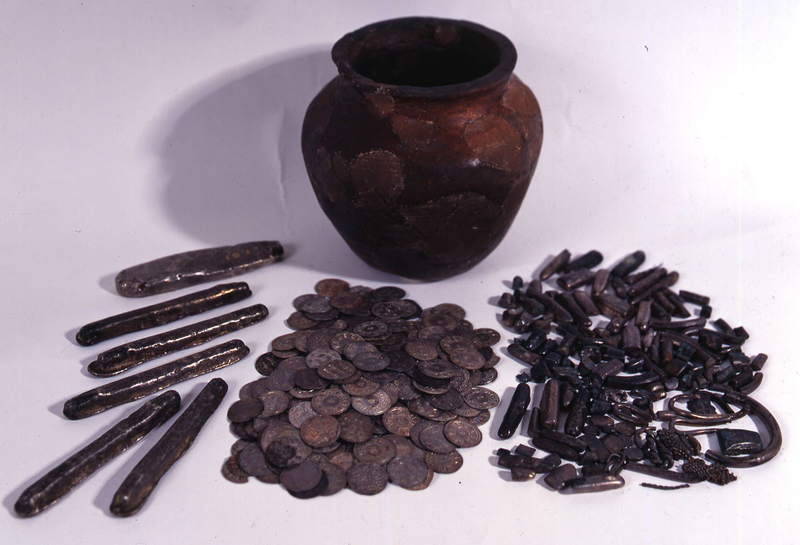 The total value of the hoard in 10th century money was 1300 pence – an enormous sum for the period. The way that the jewellery was chopped up suggests that the hoard belonged to a Viking, presumably a trader.